The Y Club is home to the Manchester YMCA Premier Judo Club. Judo is a hand-to-hand combat class. In Japanese it means ‘The Gentle Way’ and is an ancient art of the Samurai warriors. Judo is practised on the basis of obeying the foundations of courage, self-control, politeness and respect. 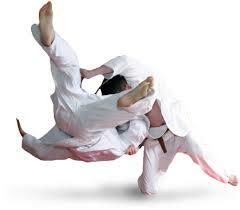 However, Judo is a highly competitive form of martial art utilising both skill and agility. Under the watchful eye of former Judo champion Martin McSorley you will partake in specially devised exercises to help develop strength and co-ordination of both the upper and lower body. The objective is to control your opponents’ moves by either throwing or taking down an opponent to the ground, immobilising or otherwise subduing an opponent with a pin, or force an opponent to submit with a lock or strangle. The judo classes at the Y Club will teach you throwing, grappling and striking techniques. Here at the Y Club our Judo sessions cater from beginner through to competition standard. Both adult and junior sessions are available.